Romanian shirts are difficult to find at the best of times. When I saw this shirt for sale I instantly bought it. I remember CFR Cluj from back when they played Chelsea F.C. in the Champions League. The shirt itself is perfectly fine. There aren't any standout features. I think if the sponsors were a bit smaller or if one of them wasn't there then I think the shirt would look very nice. The transferred logo is a lovely touch. 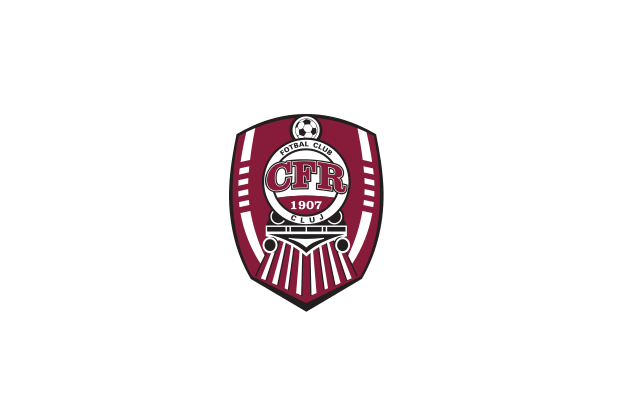 CFR Cluj has a fierce rivalry with their local opponents Universitatea Cluj. According to journalist Răzvan Toma, the first match between the two teams was played on 13 October 1920, when CFR thrashed Universitatea 8–0 on a field based in the Cluj-Napoca Central Park. History and statistics website Romanian Soccer regards a 1–3 loss of CFR – which had just merged with Ferar Cluj – on 7 December 1947 as the first Liga I meeting between the two teams. The derby is believed to be based on an ethnical conflict between the communities in the city; this claim can however be refuted as both teams had players of Hungarian origin throughout history. Ceferiștii also hold milder rivalries with Steaua București, Dinamo București, Rapid București, Universitatea Craiova and Politehnica Timișoara.